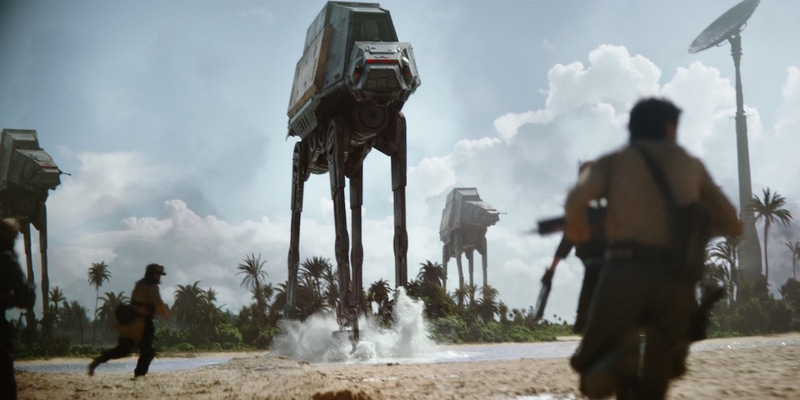 Rogue One, by the way, is fantastic. 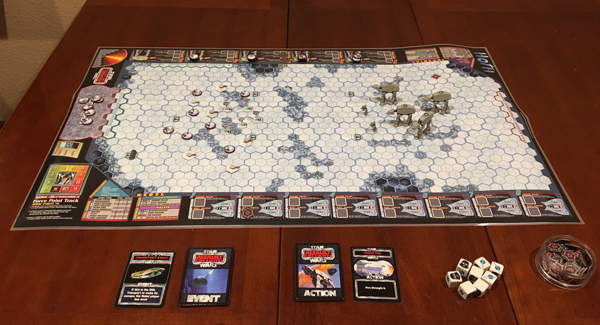 It was like watching all my favorite minis games get a big budget action movie. 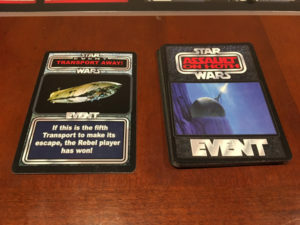 Fantasy Flight’s Star Wars: Armada, X-wing, and Imperial Assault could all be combined into an Epic Battle of Scariff as the movie combined all three theaters of war seamlessly into one epic narrative. 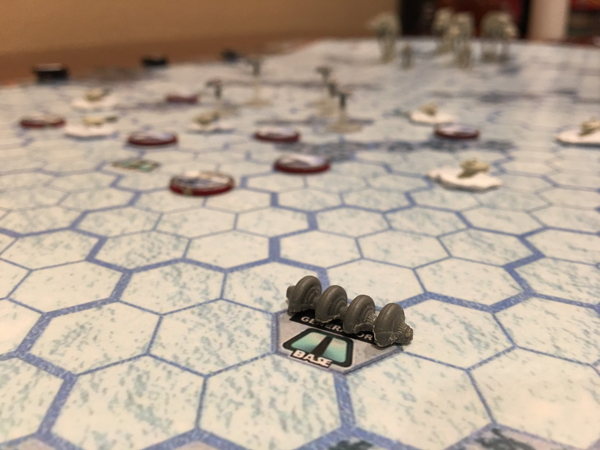 Anyway, back to Hoth: I started out with the excellent resources on the Assault on Hoth boardgamegeek page, including BennyBroka revised map and revised card deck. I had the decks printed from Artscow and the map as a matte poster print from Printer studio. I later laminated the poster at Office Depot. After that, I started collecting minis. 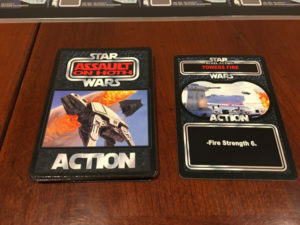 With Star Wars so prevalent again, the toy market is flush with new items like the resurgence of Micro Machines. 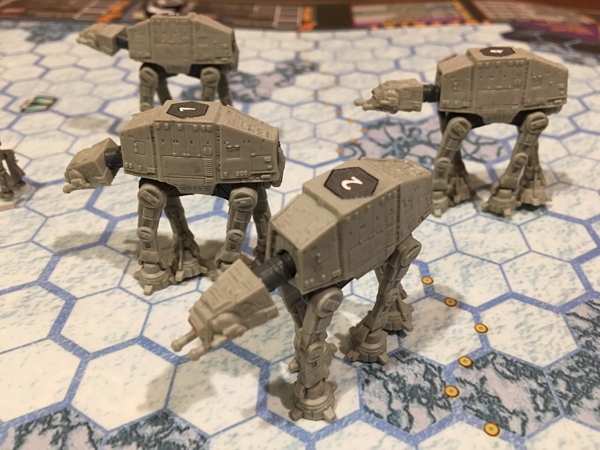 I picked up the 5 AT-ATs needed from various Micro Machines sets. 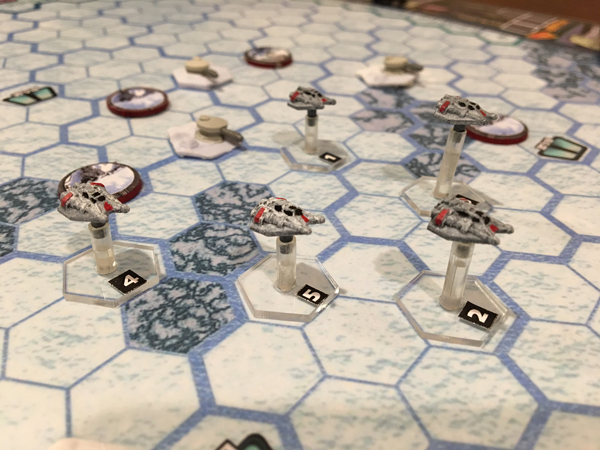 The small Airspeeders are from Mel Miniatures‘ Shapeways account. 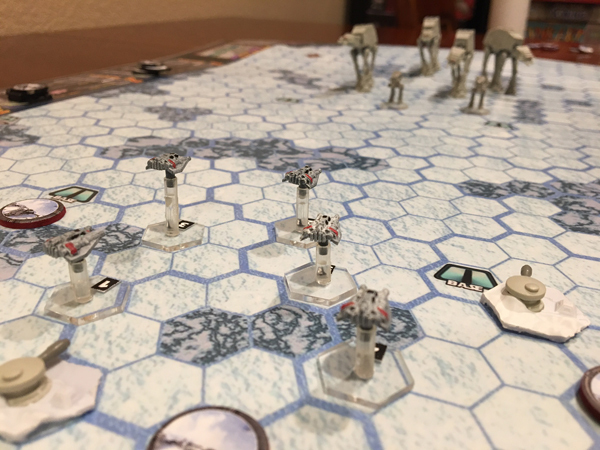 I looked all over for these but just couldn’t find anything in the right size but luckily Mel Miniatures had them in Fantasy Flight’s Armada scale. 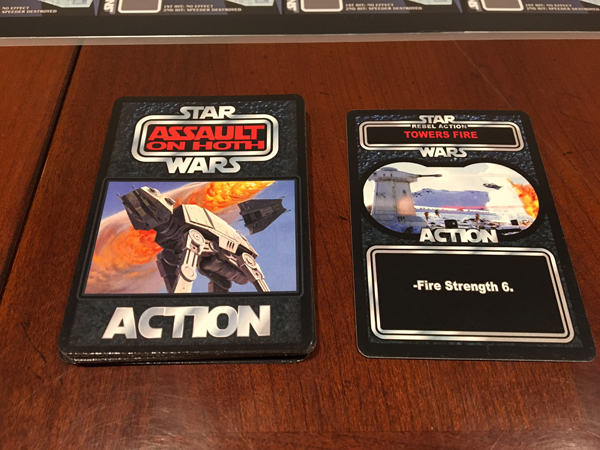 I couldn’t find any trooper options in a scale I wanted (preferably 6mm for this game like I did in OGRE) so I went with making tokens. The Shield Generator and cannons again came from the “box busters” series. 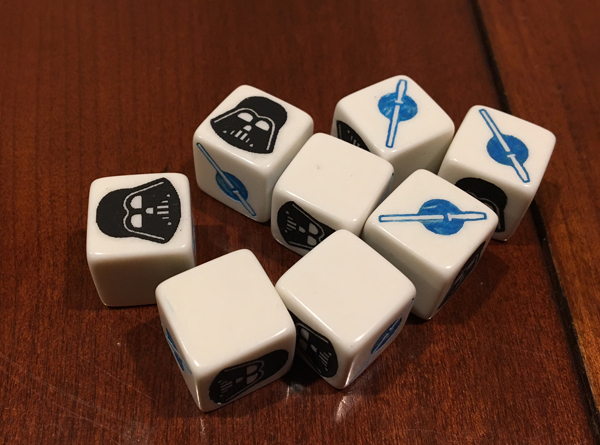 Finally, I was able to pick up a set of dice from BGG user Orph and they turned out fantastic. 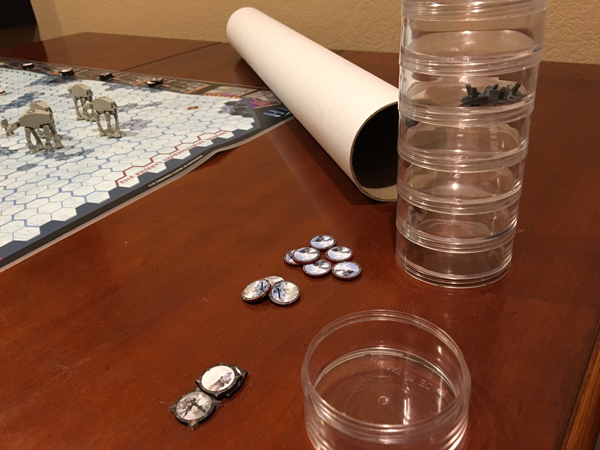 Everything rolls up into a cylinder mailing tube and I’m really happy with how everything turned out. 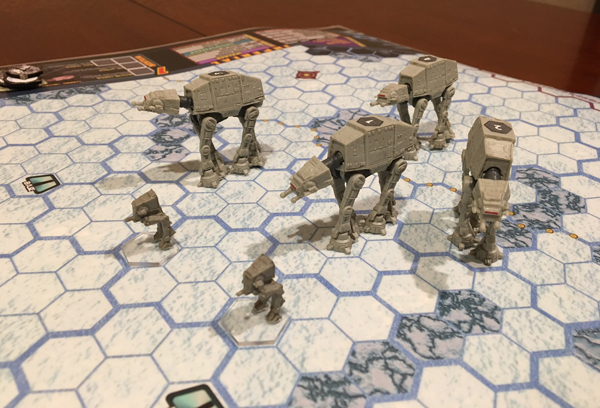 Now that Rogue One killing it in theaters, maybe some publisher will give us some new All Terrain combat vehicle action. 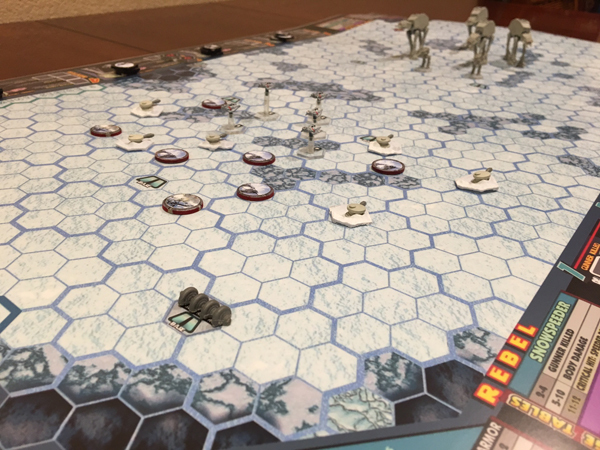 Until then, I have Assault on Hoth to relive my favorite battle of the Star Wars franchise.